There are people who ride horses, and there are people who drive cars. The people who ride horses do so because they love horses, not because the horses are more efficient. The problem is that if you had to go to the hospital, would you take a horse…or a car? Then there are people who study martial arts. There are those who study classical martial arts which were popular when horses were the only form of transportation. And then there are those who, like the people who drive cars, wish to get where they are going by using science and technology. Classical martial arts are wonderful, and there are people who should study them. But, if you are in danger, if you have to fight for your life – if you want to stay OUT of the hospital – then you need to step up and study martial arts that are scientifically designed and technologically correct. The martial arts of the past were designed around things like animals. They have a great emotional feel, lots of power, but they are not designed for a human body. Or, perhaps the classical martial art was designed around a unique cosmogony. Like the five elements, or the eight sides of Pa Kua Chang. Again, wonderful arts, but not designed for a human body. The martial arts of the past were designed for elements that the people understood, which is to say, they were designed around the technology of the time, which was not a technology at all, but studies that had some degree of success. 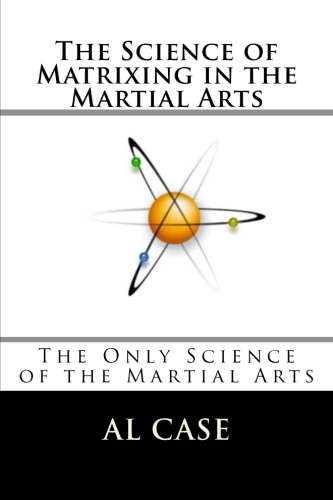 When you study matrixing you are studying martial arts designed EXACTLY for the human body. No, not a study of kinetics, for that is only measuring muscle and reaction time and that sort of thing. Matrixing is something else, something quite a bit more unique. Matrixing is designed on the core principle of the universe, it is designed around the one single factor around which the universe works. Matrixing is not designed around the measurement of the universe, such as sciences like physiology and biology and so on, but rather around the principle from which the universe is created. This principle is elucidated in the book, ‘Binary Matrixing in the Martial Arts.’ Binary Matrixing is available on Amazon. Binary Matrixing in the Martial Arts serves as an inexpensive introduction to the world’s first and only absolutely perfect and scientifically correct martial art. Blinding Steel describes eight specific modes, modes based on a growth of geometry, which modes can be learned in a few weeks, and which will make a person into an expert martial artist in that time. The modes include complete data on how to use the geometry described with empty hands, weapons, even takedowns. All within a few weeks. Once one has become expert in the martial arts one can master them through the simple process of learning Matrixing. Matrixing describes the process by which Blinding Steel was created. Matrix Karate presents a complete and perfect form of Karate, and the principles of how to Matrix. Matrix Kung Fu teaches the alphabet of joint locks and takedowns. These are the keys to virtually EVERY joint lock and takedown in existence. This is the complete art of joint locks scientifically arranged. Matrix Aikido shows how to use core concepts to define an entire martial art. Watch one seminar, 90 minutes long, and you will not only see hundreds of techniques, but you will be able to do those techniques, and even create your own. The Master Instructor Course is the only course in existence that shows how to teach the martial arts. If one doesn’t know the material on this course they aren’t really an instructor. This is not a ‘boot camp,’ but the exact scientific principles on how to have perfect form, how to make ANY technique work, and how to get that information out of your head and into the head of the student. The Shaolin Butterfly Matrixes Chinese Martial Arts. It specifically teaches the complete potential of footwork in the martial arts. Matrix Tai Chi Chuan shows how to matrix the whole body for the fastest and most efficient transmission of Tai Chi Chuan in the world. Five Animal Tai Chi Chuan consists of matrixing internal energy throws and other concepts of Tai Chi Chuan. It thoroughly and scientifically analyzes Push Hands. How to Create Your Own Art. The only course of its kind in the world, this material enables one to forever be an artist, and not a copycat. Yes, it is good to mimic others, and other martial arts, in the beginning. But a true martial artist has to become a creator. Finally, a short course called Matrix Combat. 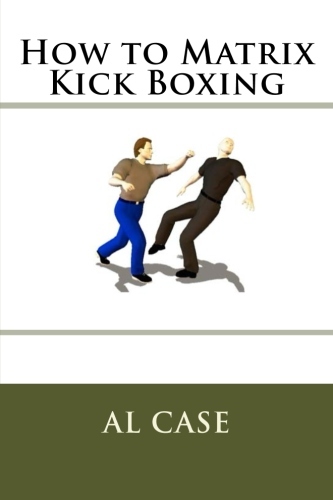 Shows how the various fighting drills of the martial arts describe a specific geometry. First one will learn the secret of how to create a glowing ball of energy in one’s own hands, and then to encapsulate oneself in a glowing ball of energy. This course is last because without the discipline of the earlier courses it won’t work. That is the list of Matrixing courses, the only courses in the world to put order to the entire martial arts and make them scientifically correct. What one has to understand, if they are to understand Matrixing, is that most martial arts are taught backwards. People learn the basics, then they put the basics together for combinations. The combinations get trickier and tricker. To learn the true martial arts one has to learn the basics. They they must understand how the basics are combined to make techniques. But somewhere in there they must reverse direction. They must see where the martial arts come from: they must search for and define the simple principles that are the heart of the martial arts. No other art reverses direction, except by accident. 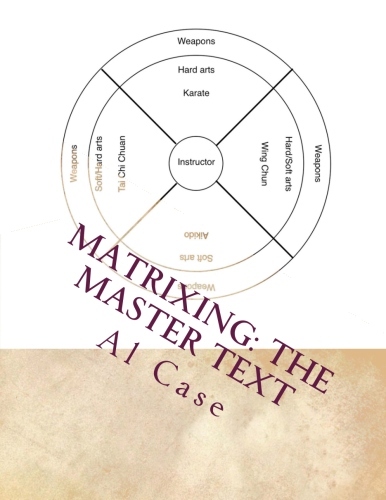 Thus, Matrixing moves in an entirely different direction from other martial arts, and this should be obvious from the reading of the first book: Binary Matrixing in the Martial Arts. Once one understands how the universe works they are ready to go the other way, to delve into the martial arts, not to memorize countless techniques and forms that have no relationship to fighting, but into the simple principles at the heart of the universe, and of the individual himself. 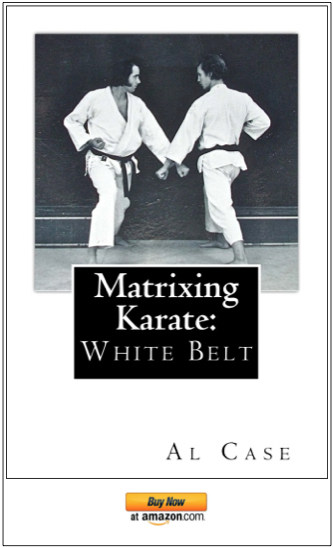 Read the book: Binary Matrixing in the Martial Arts. Do the ‘Blinding Steel’ course. Learn a perfect martial art. Begin the Matrixing journey with the ten Matrixing courses and return to the basic simplicity of the individual, and of the real martial arts. Finally, study the classics. Study the specialty subjects. Find out what other masters have done, and so expand yourself by mastering their concepts. a) send me an email. b) if the answer I give is not scientifically correct, then forget matrixing. Write it. don’t do it any more. What have you got to lose? Perfection? 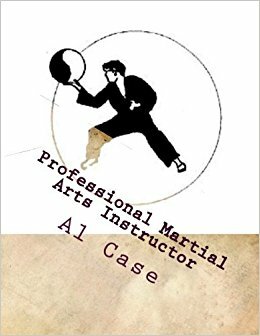 A study of knowledge far beyond the mysteries imparted by the classical martial arts? I have been a distance student Of Master Case for many years now. I have completed several of his courses and continually refer to his material when I teach my martial arts students. Master Case is incredibly ahead of his time and is a pioneer in modernizing and progressing the arts. I would love to have the chance to train with him personally someday. Hi John, thank you for those kind words. A humble bow to you. Have a great work out!